Today’s students live in a global society. But does that mean they can function effectively in that multicultural environment? That same question may be put to school librarians. Furthermore, in what ways can today’s school librarians facilitate global awareness and competence? 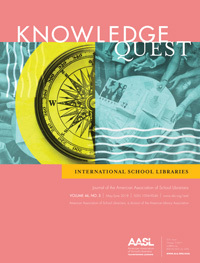 This Knowledge Quest issue addresses international aspects of school librarianship, as shared by U.S. and Canadian leaders. 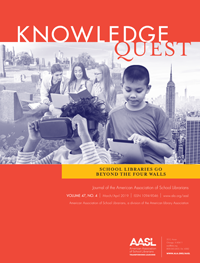 The inspiration for this issue arose from my own activities in international school librarian professional associations, particularly the International Association of School Librarianship (IASL) and the International Federation of Library Associations (IFLA). I had the honor to plan and host the 2017 IASL international conference on my campus, where 200 librarians, educators, and vendors from 28 countries shared their expertise. This issue draws from those experiences. To start with, what multicultural competencies are needed to be successful in today’s world? Michelle Villagran offers a four-part model that improves both personal well-being as well as interpersonal relationships. School librarianship itself reflects both universal values and culture-sensitive ways of manifesting those values, which the IFLA School Libraries Guidelines demonstrates. Dianne Oberg shares the development and deployment of those guidelines. 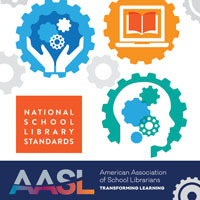 To help school librarians understand how their global counterparts implement effective programs, they can read the IASL journal School Libraries Worldwide. Karen Gavigan synthesizes studies from that publication, which can be particularly useful for school librarians who work with students from different cultures. Jennifer Branch-Mueller details her own research on school librarianship from the point of view of school librarian educators from six continents. First-hand cross-cultural experience offers an authentic, and sometimes life-changing, experience for school librarians. Barbara Schultz-Jones details years of study abroad programs, and Connie Champlin and her colleagues share library-related Peace Corps experiences. On a personal note, my own Peace Corps experience motivated me to pursue a doctorate so that I could teach school librarianship. Finally Nancy Everhart explores the benefits of joining international school library organizations in her online exclusive. You’re in for a world of school librarianship insights that can inspire you to go global. Dr. Lesley Farmer is professor of library media and coordinator of the Teacher Librarian Services Credential Program, Department of Advanced Studies in Education and Counseling, California State University, Long Beach. She also coordinates the California State University ICT (Information and Communication Technology) Literacy Project. Among her recent publications are Managing the Successful School Library: Strategic Planning and Reflective Practice (ALA 2017); “Optimizing OERs for Optimal ICT Literacy in Higher Education” in Handbook of Research on Mobile Technology, Constructivism, and Meaningful Learning (IGI Global 2017); and “Collective Intelligence in Online Education” in Handbook of Research on Pedagogical Models for Next-Generation Teaching and Learning (IGI Global 2018). In 2017 she received the AASL Distinguished Service Award. Former chair of IFLA School Libraries Section, she still serves on the section’s Standing Committee. Also an active member of IASL, she is chair of the School Library Education Special Interest Group and was the 2017 conference coordinator. She also serves on committees for the Association of College and Research Libraries and the Special Libraries Association. 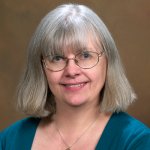 Dr. Lesley Farmer, Professor at California State University (CSU) Long Beach, coordinates the Librarianship program. She also manages the CSU ICT Literacy Project. She earned her M.S. in Library Science at the University of North Carolina Chapel Hill, and received her doctorate in Adult Education from Temple University. Dr. Farmer chairs the IFLA’s School Libraries Section, and is a Fulbright scholar. 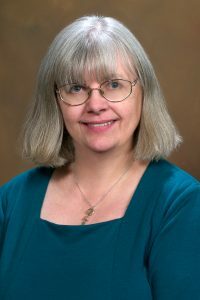 A frequent presenter and writer for the profession, she won American Library Association’s Phi Beta Mu Award for library education and the International Association of School Librarianship Commendation Award. Dr. Farmer’s research interests include digital citizenship, information literacy, collaboration, assessment and data analysis. Her most recent books are Library Improvement through Data Analytics (ALA, 2016) and Managing the Successful School Library (ALA, 2017). Thanks for letting us know about the typo in the footer on the first page of the online exclusive. 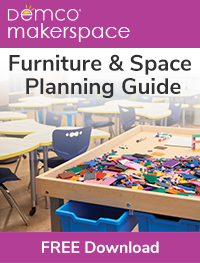 We’ve updated the PDF with the correct volume number, issue number, and month on that page.